Gurf Morlix is an American multi-instrumentalist, vocalist, songwriter and record producer residing for many years in Austin, Texas. 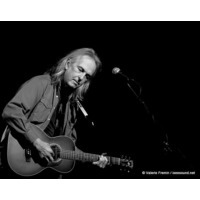 He has worked with many of the best known performers of Americana and alternative country music. His most notable works include albums by Lucinda Williams, Robert Earl Keen, Mary Gauthier, Ray Wylie Hubbard, and Slaid Cleaves. The instruments that he plays include guitar, bass, mandolin, mandocello, dobro, pedal steel, Weissenborn, banjo, harmonica, and drums. Gurf is a member of the Austin Music Awards Hall of Fame (2004) and the Buffalo Music Hall of Fame (2005), and is the Americana Music Association Instrumentalist of the Year for 2009.